Self-guided motorcycle adventures in Belize! 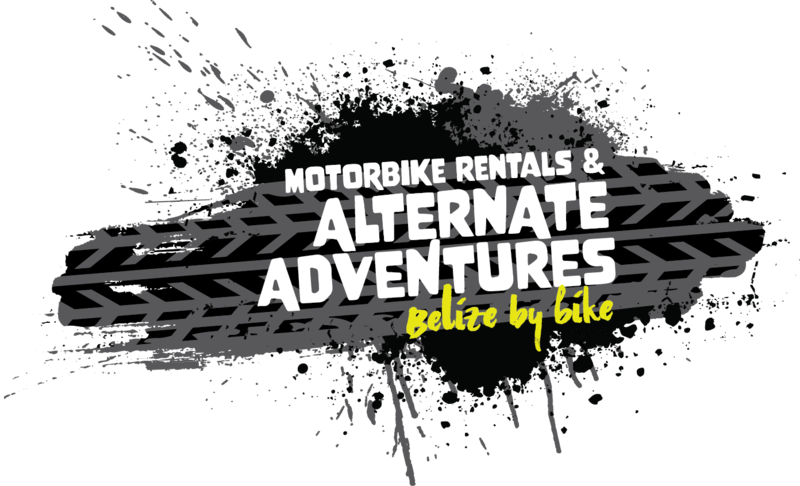 Motorbike Rentals & Alternate Adventures is the only motorcycle rental company in Belize with a decade of experience of self-guided motorcycle adventures. We provide you not only with a motorcycle, but also enough information, equipment and support to pursue your adventures independently on two wheels. Belize on a motorcycle is by far the most exciting and convenient way to explore this country. This land is a maze of fun and thrilling rides with many interesting stops along the way that will offer you small and big adventures while on two wheels. Rent a motorcycle from us and you will find yourself exploring Mayan pyramids, hills and valleys curtained by jungle, stunning caves, waterfalls and Caribbean beaches. On your motorcycle you may drive thru Mennonite, Garifuna, Creole and Mayan villages.